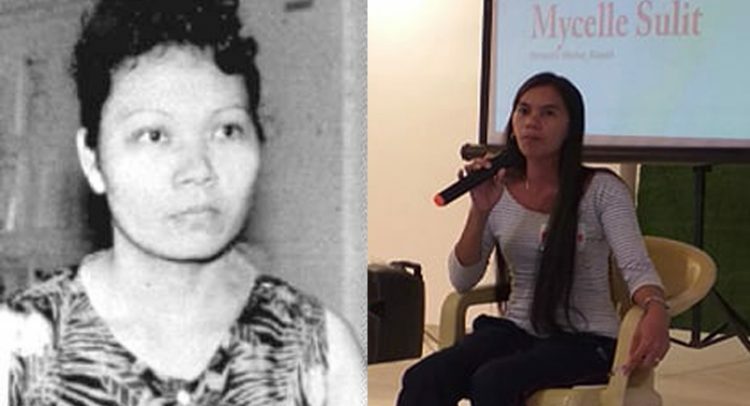 Quezon City, Philippines – The National Council of Churches in the Philippines observed its Migrant Sunday on March 17, 2019 in commemoration of Flor Contemplacion’s execution in 1995. Addressing the congregation of the Church of the Risen Lord at the University of the Philippines, Diliman, is a former OFW who recently came back from Kuwait, Ms. Mycelle Sulit. She shared how she suffered from physical abuse, overwork and the threat to be sold to another employer. Unable to endure her situation, Mycelle ran away from her employer. She sought the help of the Philippine Embassy where she stayed for several months. Upon processing her repatriation at the police station, her employer arrived and was able to get her back. In the custody of her employer, Mycelle was severely beaten all night. At some point, her clothes were stripped off by her employers looking for belongings that they said she might have stolen. Her employer planned to sell her to another employer in the Kingdom of Saudi Arabia. The only way she can save herself was to escape. She jumped off from the third level of her employer’s house which damaged her legs, spine and pelvic area. “I had to save my life by escaping. I did not steal. I just wanted to leave my abusive employer. I went abroad to work for my family, and not to break any law,” she recounted, sobbing during her testimony at the worship service. “It is unfortunate that even after Flor’s death, we still hear of many stories like that of Mycelle and how they were neglected by the government which should ensure that OFWs are protected in their countries of destination. OFWs are treated as commodities and sources of precious contribution to the GDP. Poverty and the lack of gainful employment in the country force our people to leave because there simply are no other opportunities here. Their commodification in the global market, and the lack of protection policies, makes them so vulnerable to oppressive working conditions,” she added. Mycel is appealing to churches and other migrant advocates to help sustain her upcoming surgical operation through financial support. Her lower extremities have been badly broken after trying to escape. “As churches, we continue to preach that migrants, like anyone else, are born with innate dignity that comes along with our likeness to God’s image. Thus, they shouldn’t be seen as a mere tool for development. Job opportunities in the country should be generated and easily accessible so that our OFWs, should they have to work abroad, will be by choice and not by the need to survive.” Ms. Calub continued. “Their ‘being’ should always be central in their personhood, and that no entity nor government has the right to take that away from them,” she ended. Migrant Sunday was designated by the NCCP Executive Committee for its member churches to annually hold on a Sunday closest to March 17. This was the date of the execution of Flor Contemplacion who was hanged by the Singaporean government for allegedly killing a fellow OFW. This tragic event, which brought to the attention of the public, the many issues concerning our migrant workers, is a constant reminder for us to not just look at OFWs as modern-day heroes but also as individuals being forced to leave in order to provide a better future for their families.